The South Carolina Defense Trial Attorneys' Association was formally organized on November 14, 1968. The organization grew out of a series of discussions with insurance and industry representatives about the need for an organized Defense Bar. A local association of defense attorneys was needed to act as a liaison between the DRI and local claims managers. Six attorneys attended the initial meeting and by December 8, 1968, the organization had grown to 75 members. Since that time, the South Carolina Defense Trial Attorneys' Association has grown to approximately 1000 members who practice in multiple areas of Civil Defense Litigation such as: Tort and Personal Injury; Product Liability; Commercial Law; Labor and Employment; Medical Malpractice; Workers' Compensation; Healthcare and ERISA; Insurance Law and Coverage; and Governmental and Municipal Liability. The SCDTAA holds two meetings each year. The Annual Meeting is held in November of each year and is attended by SCDTAA members and by Judges from the state and federal courts. The SCDTAA also sponsors a Summer Meeting in July of each year. 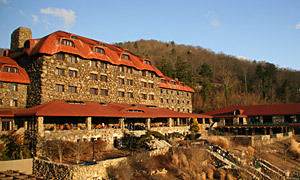 The Summer Meeting is historically held in Asheville, North Carolina. The meeting includes corporate counsel and the SCDTAA invites the S.C. Workers’ Compensation Commissioners. Both meetings include general educational sessions and break-outs sponsored by the Substantive Law Committees of the SCDTAA. The SCDTAA has maintained its primary focus in continuing legal education and the promotion of civil justice by sponsoring a Civil Trial Academy each year. This academy gives young lawyers an opportunity to try a mock case in front of an actual state or federal court judge and a live jury. This program has received excellent reviews by the Judiciary, the instructors, and the students. The SCDTAA has also received the Excellence Award from the DRI. This award recognizes the association's strong membership, as well as its leadership in the areas of continuing legal education and legislative matters. The Annual Meeting is held in November of each year and is attended by SCDTAA members and by Judges from the state and federal courts. The location of the Annual Meeting rotates to various fabulous destinations. The Summer Meeting in July of each year is historically held in Asheville, North Carolina. Both meetings include general educational sessions and break-outs sponsored by the Substantive Law Committees of the SCDTAA.